KNUTFORD’S town-wide volunteering scheme celebrated its third birthday in style last week, with an event at Cottons Hotel and Spa. Knutsford Hosts, which helps and supports charities and organisations across town, welcomed a range of special guests, including representatives from Middlewich and Altrincham, and Tatton MP George Osborne. The event on March 24 saw the Hosts thanked by representatives of the Children’s Adventure Farm Trust, Royal May Day, Knutsford Lions, and also by Knutsford Rotary for their support with the Knutsford Jog. Hosts co-ordinator Sarah Flannery said it was wonderful to see almost 50 hosts enjoying the quarterly get-together and hear from some of the organisations they are helping this year. She said: “The Hosts continue to go from strength to strength and we welcomed eight new Hosts, including the 85th to sign up, Daren Andrews. 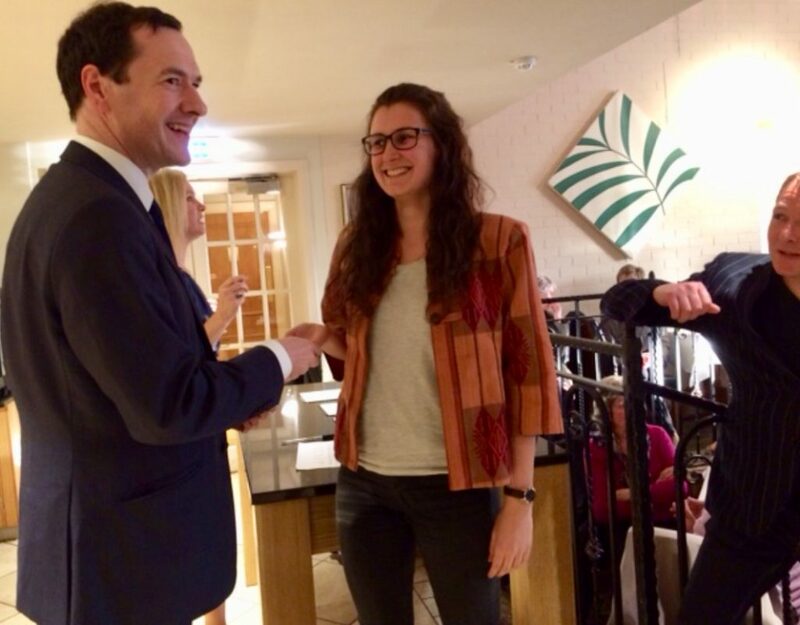 “We were delighted that George Osborne MP, who has been an honorary Knutsford Host since we started the scheme, was able to attend and present the badges. “As our numbers grow, so too does the number of community organisations and events that we’re asked to help. The scheme also welcomed its 85th host, Daren Andrews, along with Kathy Urwin, Julie Crawford, Nicola Roberts, Valerie Kilby, Miriam Sala, Joanna Wallens and John Smethurst. This entry was posted in News and tagged Knutsford, Knutsford Guardian, Knutsford Hosts, volunteer by Host. Bookmark the permalink.